Laura helps keep things running smoothly as a front desk manager. We’ve been lucky to have her as part of our team since the beginning of this year. She pays a lot of attention to detail and is an extreme animal lover. She especially likes German shepherds and huskies! When she’s not tending to the dogs at City Dogs, she goes to school for graphic design and takes care of her German shepherd puppy, Ax. Remy is our afternoon small dog attendant at 18th Street. He has been with City Dogs for almost 5 years. His soft-spoken, calm personality plus his 17 years of animal experience make him the perfect pack leader. Remy is a certified dog trainer and is also certified in canine CPR. In addition, he writes the best daily report cards for the dogs he observes! 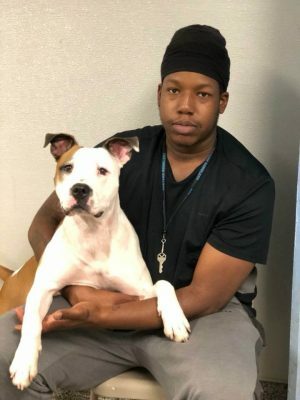 Even when he’s not at work, he enjoys fostering dogs through City Dogs Rescue, studying about different animals, and cuddling with his Staffordshire terrier and three cats! 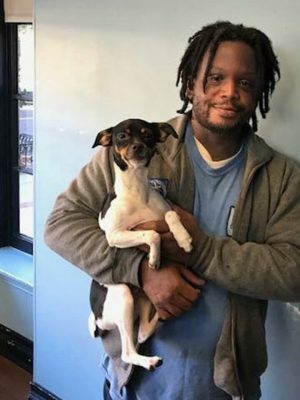 Meet our groomer, Pernell! 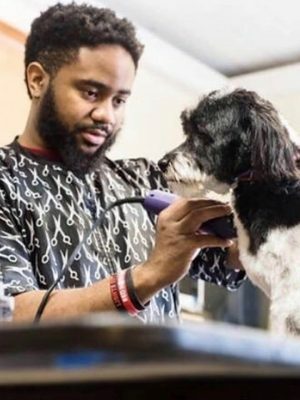 Pernell specializes in full service grooming at both of our locations. 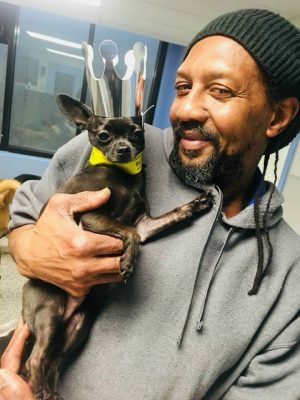 He’s been grooming for 10 years and has been helping City Dogs beautify pups since 2015. He loves to see outcome of the haircuts he creates and most importantly, seeing his customers happy. We like that Pernell never backs down from a challenge, even the furriest! He always has a positive attitude. When he’s not grooming at City Dogs, he enjoys road-trips and watching sports. Dillon has been our front desk assistant at 18th Street for 6 years. He enjoys meeting and greeting customers and their dogs. He loves all dogs, but he has a special place in his heart for small dogs. 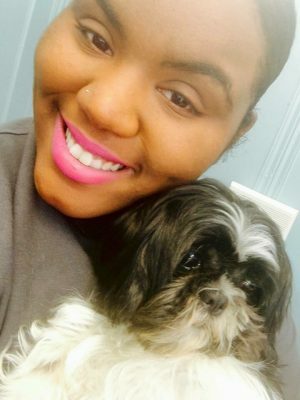 In 2016 Dillon adopted an abandoned Shih Tzu and named her Fluffy! Being from Jamaica, Dillon also extends his love for others through his delicious Caribbean cuisine. He loves to cook in his spare time. You can find Elvis working in the big dog playroom every morning at 18th Street. 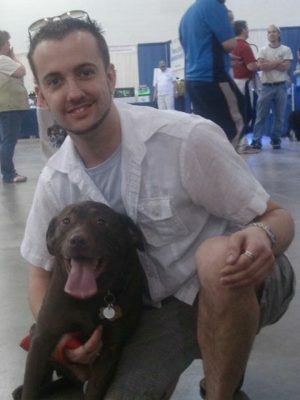 He’s been working in the pet care industry for 15 years and has been part of our team for 7 years. As a dog trainer, he’s excels as a pack leader. He enjoys playing with the dogs and using different training techniques while they’re in his care. He especially likes training pit bulls and German shepherds! A native of Guatemala, he enjoys watching and playing the national sport, soccer, in his free time. Joel has been one of our evening front desk managers since 2015. With a BS in business administration and as a previous restaurant manager for 14 years, his customer service skills are outstanding. His warm smile and bubbly personality are sure to light up any room! 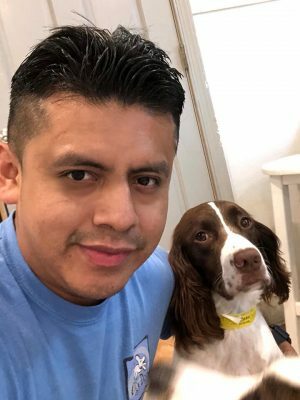 Aside from helping keep things buzzing at City Dogs, he enjoys traveling and tending to his 10-year-old chocolate lab, Godiva. Our general manager, Kayla, has been a part of our team since 2012 and has worked in the pet industry for 7 years. 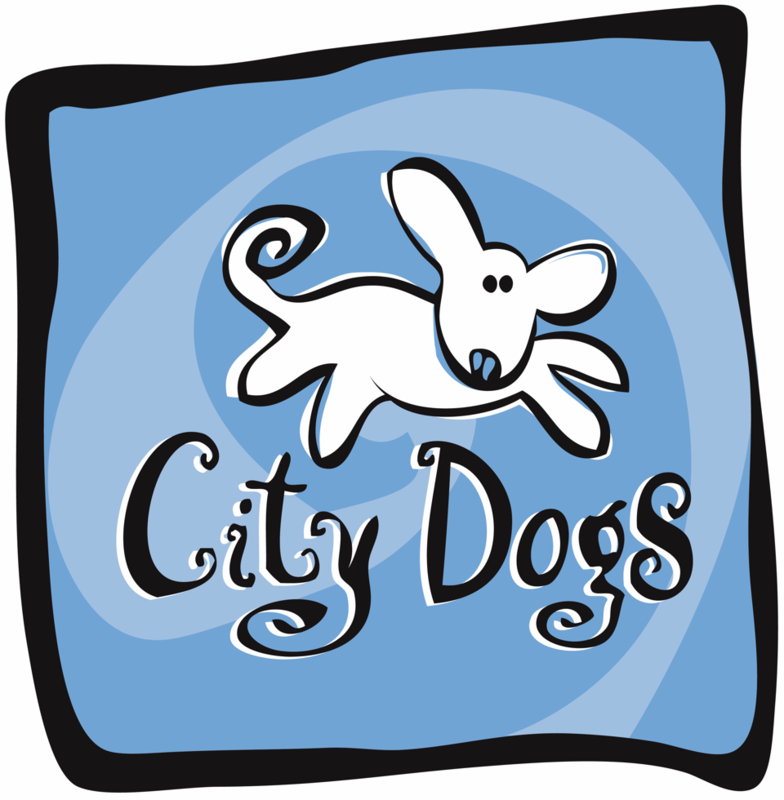 She keeps things running smoothly at both City Dogs locations with her determination and can-do attitude. 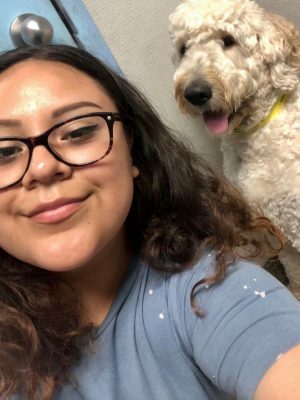 She loves building customer relationships and most importantly, playing with the dogs! 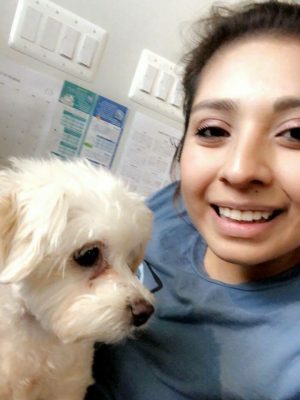 With a background in the veterinary field, she loves a fast-paced work environment. When she’s not working, she’s busy being a mom to her twin girls or playing with her dog, Kali. Jackie is our H Street morning front desk manager! She’s great at keeping everything organized and is a caring, hands-on animal lover. She loves how exciting her job is, and looks forward to meeting new dogs every day, especially the fluffy ones! When she’s not hanging out with her own shepherd mix, Raven, and her cat, Maze, she likes to play darts for fun. Alex is our morning front desk assistant at H Street and has been with us since we opened. He’s a super dedicated guy and treats every dog that comes through our door like family. Alex hasn’t missed a day of work since he started – walking to work one day in almost a foot of snow! His interests include, watching the Dallas Cowboys and taking care of his dogs.